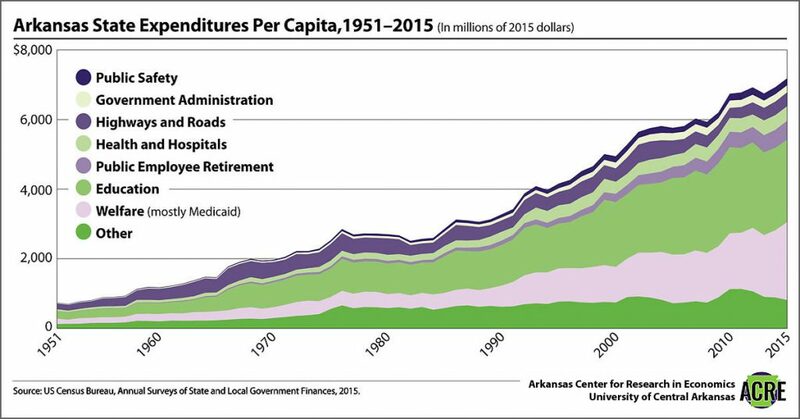 It can be tough to figure out what’s really happening in Arkansas’s economy. If you follow the news, you hear reports about the latest economic data all the time: Employment is up this month! Wages are stagnant! Poverty declined last quarter! This focus on the most recent data can be confusing or misleading without a comparison to long-run trends. And news reports also often leave out a careful comparison with trends in our neighboring states and the nation as a whole. Plus, what do all those numbers really mean? 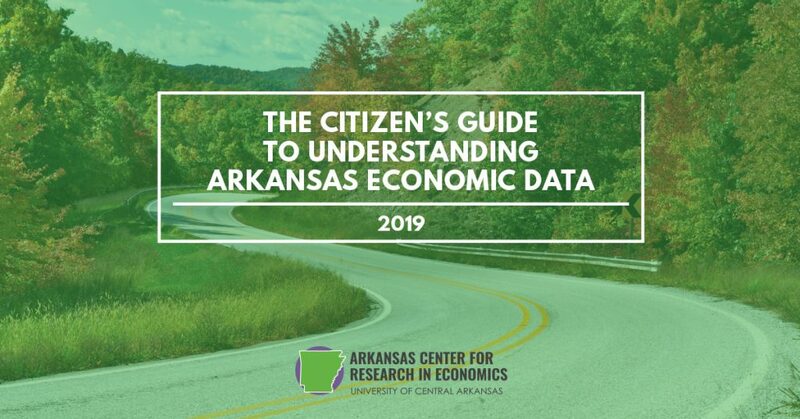 Our new book, The Citizen’s Guide to Understanding Arkansas Economic Data, can help citizens and policy makers to better understand all that data in the news — and what it can tell us about our state’s strengths and weaknesses. The guide offers useful graphs and clear explanations for 12 essential aspects of our economy. It explains what the data really mean, how they are collected, how Arkansas compares to other places, and what the long-run trends are. In the “Unemployment and Labor Force Participation” chapter, we explain that even though Arkansas’s unemployment rate has climbed down from its peak in the Great Recession and reached historic lows, another data set — less often mentioned in the news — called the labor force participation rate, shows that Arkansas’s labor market may be weaker than the national average and has fewer people participating in the market than 2010 and earlier. The 12 main chapters are authored by Jeremy Horpedahl, an ACRE scholar and assistant professor of economics at the University of Central Arkansas; Amy Fontinelle, author and editor of hundreds of public policy works; and Greg Kaza, Executive Director of the Arkansas Policy Foundation. This book also includes a feature article on tax reform, by Jeremy Horpedahl and Nicole Kaeding, Director of Federal Projects at the Tax Foundation. The Arkansas legislature is currently considering several tax reform bills. Horpedahl and Kaeding have repeatedly given testimony to the Arkansas Tax Reform and Relief Legislative Task Force and in past legislative committees. In this special feature, they use examples and data from other states that have attempted tax reform to give Arkansans some guidance on what our government should — and should not — do. We wrote this book so that you can better understand what Arkansas is already doing well, where we are falling short, and how our state can improve. Please explore the guide’s chapters online or download it by clicking here. As you can see, we cover some of the most important and commonly discussed parts of our state’s economy. We hope to hear your thoughts and questions about Arkansas’s economy. You can email ACRE at acre@uca.edu, tweet me, Jeremy Horpedahl, at @jmhorp, or comment on ACRE’s Facebook page. If you would like a printed copy for your own home or office, please email acre@uca.edu with the subject line Printed Citizen’s Guide, and include your name, your organization’s name, and your address. Future editions of the guide will be even better as we hear what issues are most important to you, and address them with the best data and analysis available.